Kansas Bankers Surety (KBS), a company that specialized in the writing of financial institution bonds for banks, has announced that it is withdrawing from bank insurance sales effective June 1, 2016. In the wake of this withdrawal, many banks will need to find a new surety market for their bankers blanket bond. 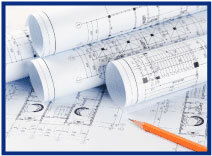 Goldleaf Surety works with several surety companies that provide excellent markets for this bond. 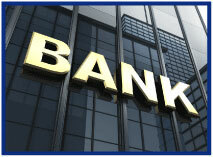 Unlike deposit insurance which protects the actual depositor, the blanket bond protects the institution itself. If you would like more information on bankers blanket bonds or need assistance replacing this coverage for your client, contact Goldleaf by logging onto www.bigimarkets.com. Simply select the appropriate bond type from the bond options on the commercial markets menu. You may also call Goldleaf directly at (888) 294-6747 and ask for Lori Olson. Learn more by logging into Big "I" Markets and clicking on Big "I" CBIC Design Pros from the commercial products menu. A computer consultant was hired to create a new computer system for a client. The client alleged the new system was not functional and corrupted their current system. The claim resulted in a $70,000 loss. A recruiting firm filled a position for a branch manager. Shortly after being on the job, the manager was fired by the client company. The client company sued the personnel agency because sales declined. They alleged that the manager was not properly screened to determine that he was a poor performer. The loss totaled over $50,000. You can serve all these professionals and many more by accessing Philadelphia Insurance's Miscellaneous Professional Liability policy through Big "I" Markets. "Cover-Pro" provides errors and omissions coverage to a great variety of professionals via endorsement to a basic claims-made, pay-on-behalf policy. The underwriting staff tailors each policy to address the exposures unique to each class of business. Philadelphia has additional solutions to address specific professional coverage needs of the following classes: Technology, Media, Accountants, and Temporary Staffing. Rate Indications #2: What is a Permissible Loss Ratio? Last week we looked at Rate Indications and where they come from. The example was a book of business that had an estimated loss ratio of 70% and a Permissible Loss Ratio (PLR) of 65%. This resulted in a needed rate increase, or "Rate Indication," of about 8%. But what's the PLR and why is it important? In the above formula the denominator (in red) is the permissible loss ratio or PLR. The math is basically saying when loss and adjusting expenses plus insurer fixed expenses (the numerator) are equal to a one (1.0) less acquisition costs, premium taxes and an insurer profit load, no rate change is needed. 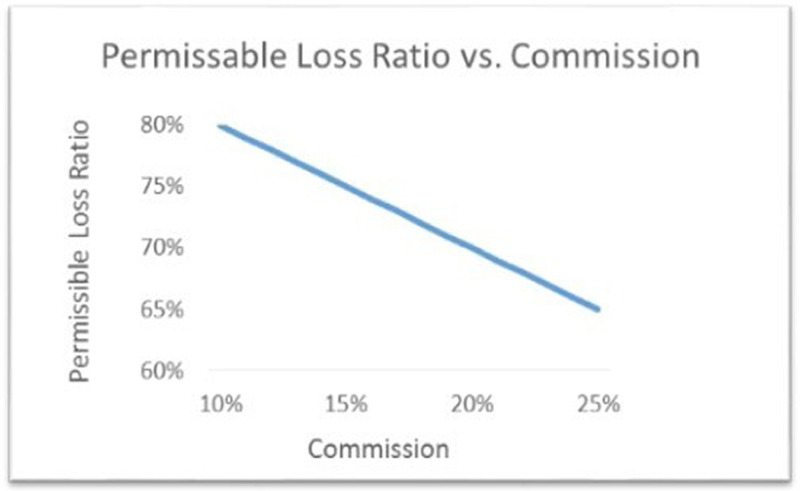 As usually the biggest component of variable expenses is commissions, below is the resulting impact on the PLR as commissions increase from 10% to 25%. So why is this important? Well, the higher the PLR, the lower the premium. If expenses are higher, rates charged must be higher to generate the same return. Insurers must always assess what brings the most to their value proposition for consumers. Speaking of expenses and value in the insurance equation, the figures for 2015 are in and A.M. Best Aggregates & Averages have arrived. In a week or two, we'll look at total advertising spending in 2015 and compare that to commissions. Congratulations to our agent in Michigan on a technology consultants professional liability sale of $2,945 in premium!